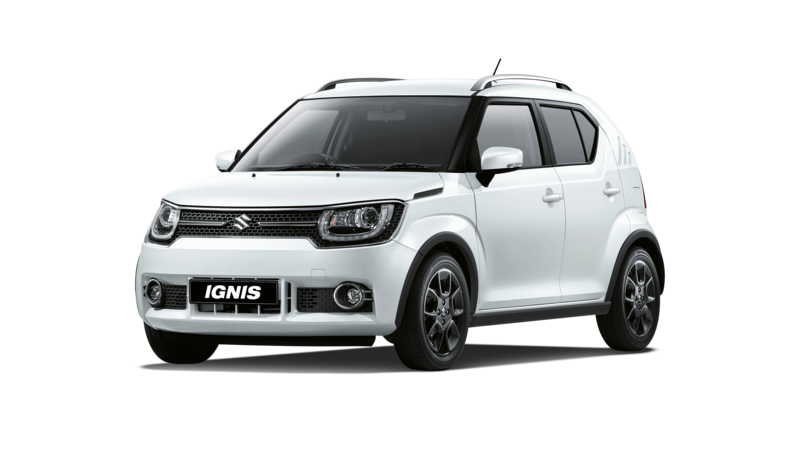 Ignis from Nil Advance Payment If you’re eligible for the UK’s Motability scheme we make it easy for you to find your perfect Suzuki. If you’re eligible for the UK’s Motability scheme we make it easy for you to find your perfect Suzuki. *Fuel economy and CO2* results for the Suzuki Ignis range in mpg (l/100km): Combined 48.6 (5.9) to 54.1 (5.3). CO2 emissions: 109 to 98 g/km. The fuel consumption you achieve in real life conditions and CO2 produced will depend upon a number of factors including the accessories fitted (post-registration), variations in weather, driving styles and vehicle load. *There is a new test used for fuel consumption and CO2 figures. The CO2 figure(s) shown however, is based on the outgoing test cycle and will be used to calculate vehicle tax on first registration.Only compare fuel consumption and CO2 figures with other cars tested to the same technical standard. Motability Scheme vehicles are leased to customers by Motability Operations Limited (Registered Company No. 1373876), City Gate House, 22 Southwark Bridge Road, London, SE1 9HB. To qualify you must be in receipt of the Higher Rate Mobility Component of Disability Living Allowance (DLA), the Enhanced Rate Mobility Component of Personal Independence Payment (PIP), the War Pensioners’ Mobility Supplement (WPMS) or the Armed Forces Independence Payment (AFIP) and applications must be made with participating dealers between 1st January and 31st March 2019. Prices are correct at time of publishing, are subject to availability and may change.